Do you know that Bitcoin is not truly anonymous? Bitcoin, which was perceived by many as an anonymous currency or payment mode in its early years, is actually a pseudonymous cryptocurrency. This lack of anonymity severely hampers the fungibility of a true currency system but currently, Bitcoin core devs are not paying any heed to this issue. That is probably because they are too caught up with Bitcoin’s scalability issues. As a result of that, more and more currencies are mushrooming every now and then and are trying to fix the privacy/anonymity/fungibility issues with different approaches. I would say that the arms race of making the best anonymous and private cryptocurrency has already started in this cryptosphere. Currently, there are more than 10 such cryptocurrencies that are trying or at least claiming to be anonymous and better than its peers. I will list some of those currencies here because I think if you are a part of this ecosystem then you should know about them. Also, sometime in future, some of these currencies will be predominately used in the mainstream because users are gradually learning why financial privacy matters. So without any further blah blah…here is the list of the cryptos I am tracking. Monero is undoubtedly the best cryptocurrency out there if privacy is your main concern. It is so secure/anonymous and private that you can’t even see the amount transacted between the different parties. Even law enforcement people weren’t able to find how much Monero the Alphabay owner had at the time of shutdown. Monero uses complex on-chain cryptographic methods such as Ring signatures, RingCT, Kovri, and Stealth addresses to protect the privacy of its users. You can read about Monero’s technology in our detailed guide: Monero Cryptocurrency: Everything You Need To Know. Monero also had a very clean beginning in the cryptosphere as there was no pre-mine or instamine at the very launch of this crypto. The only downside to it, however, is its complicated cryptography, which results in the transaction sizes being 50 times bigger than that of Bitcoin. However, for a crypto like Monero, I think such super privacy is worth it and I am highly positive about its growth because the development guys of Monero are very well aware of their strengths and weaknesses. Zcash uses a different approach to become truly anonymous. Zcash works on a zk-SNARK protocol, also known as zero-knowledge proofs. To understand this protocol more, read here. Zcash, however, has not implemented it yet as a default which means they still have an open blockchain/ledger similar to Bitcoin. Also, to use this privacy feature on Zcash, you will need at least 4 gigabytes of RAM which is a serious barrier to Zcash’s mainstream adoption. Read our detailed guide on Zcash here: Zcash Cryptocurrency: Everything You Need To Know. But of course, the research is underway to make it more feasible. Whenever it happens, Zcash will be good to go –To Da Moon! as we say in the cryptosphere. PIVX is one of my favorites out there and they recently attempted to implement privacy on it. For those of you who don’t know about PIVX, it is the first proof of stake cryptocurrency to implement Zercoin protocol on it which gives them an edge in anonymity/privacy segment when compared to other POS coins. It has been implemented only recently and is thus facing challenges. That, however, is being taken care of by its great development team. In my opinion, PIVX proof of stake coin combined with privacy and its as usual super fast transactions is a deadly competition for many anonymous coins out there in the cryosphere. Komodo is the underdog in the cryptocurrency world, and also one many are unaware of. The interesting thing, however, is that they are also anonymous crypto. Komodo archives this by implementing zk-SNARK protocol also known as zero-knowledge proofs inherited from Zcash. By inherited I mean they have forked out of Zcash and implemented a better proof of algorithm for security reasons on it. That’s why Komodo also has similar limitations like Zcash in terms of private transactions which their team is trying to solve. Read about Komodo Cryptocurrency: Everything Beginners Need to Know. Also, Komodo is not only for private transactions because they are much more focused on decentralized exchanges, cross chain atomic swaps etc. Hence, it is quite a decent project to look into. Zcoin is another unique anonymous cryptocurrency that has implemented the most popular cryptographic approach of anonymous transactions and i.e. 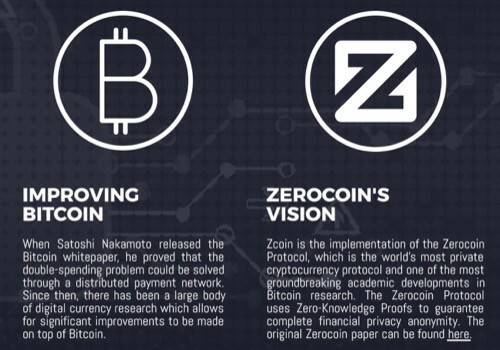 Zerocoin Protocol. I think their intro video is also worth watching as it explains a lot about their project. But the only downside that I see is their ‘trusted setup’ which was made at the start of the project. This trusted set-up is like trusting a certain group of people to set the initial parameters for the launch of cryptocurrency. If this type of a trusted set-up gets corrupted in any way, those trusted people will be able to mint as much as coins they want ‘out of just thin air’, just like the Zcash. The problem, however, is being taken care of by the development team by removing this trusted setup in the near future. When that happens, Zcoin will be one of the serious coins to count on for privacy. NAV Coin is one of the most undervalued anonymous cryptocurrencies today. It is precisely because even though their approach to anonymity is unique and simple but still has huge centralized issues. NAV Coin doesn’t use cryptography to become private. Instead, they use complicated obfuscation techniques with a sub-blockchain in parallel to the main blockchain to become private. The obfuscation is achieved by NavTech servers which yet not distributed enough. And that’s why it becomes a centralized technique which can be attacked anytime to compromise user’s privacy. 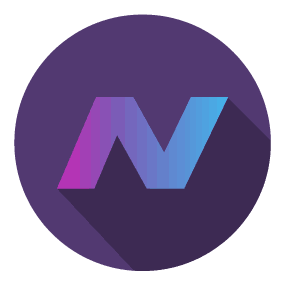 But the NAV team has not given up and is trying to implement NavTech servers in the full node itself which will give this coin the required distribution and decentralization. ZenCash is another fork of Zcash that uses zk-SNARK protocol also known as zero-knowledge proofs to achieve its anonymity. That is why similar to Zcash, they also have minimum dedicated RAM requirements for sending a shielded transaction. As of today, the requirement is 3.2 gigabytes when used on a 64-bit processor with a 64-bit operating system. But they look to distinguish themselves by focusing on usability for people all over the world by specifically implementing multiple different types of wallets, making sure they are up and running all the time through the use of secure nodes, creating a base layer of shielded transactions to assist in anonymity through those secure nodes. DASH is definitely one of the most popular and trailblazing cryptocurrency of 2017. DASH also defines itself as private currency but I don’t think that they are as private as its competitors. That is the reason I have listed DASH in the end and also tried to explain why it is not as private as it claims it is. DASH’s privacy feature is basically in its simplest form a coin-mixing service performed by its master nodes and is proudly called PirvateSend. This form of privacy provides an analyzable meta-data to find out the real sender/receiver. Also, I don’t understand how it is private and anonymous to its founders & team because they have openly implemented KYC/AML compliance of the whole DASH’s blockchain. That’s contradictory to what privacy and anonymity mean. So, for now, I will keep DASH here on this list until the DASH team removes it from their official website but I wanted you to understand the whole perspective in a broader way. That doesn’t mean DASH is not a good crypto. No one would want to miss on digital cash that says that ‘we are making crypto so easy that even your granny can use it ! !’ Also read Dash Cryptocurrency: Everything A Beginner Needs To Know. I know some of you might not agree with the above list and would have a different take on the anonymity aspect of different currencies. But before we start making things controversial, let us understand that it is not ‘a net zero sum game‘. Every community, in their own unique way, is trying to solve this challenge of privacy and that’s why the specific ways they adopt have their pros & cons attached to it. For example, Monero is using complicated on-chain cryptography to make transactions anonymous but that approach has the downside of large transaction sizes. Some currencies like Verge are going with Tor which will naturally have smaller transaction size while on the other hand, we have DASH which is using a mixing service that actually doesn’t give so much privacy to its users. My point is, let’s continue watching this space closely and pick the one we believe in because criticizing the other camp or engaging in Twitter fights will not make anyone different from the two troops that we already know i.e. BCH vs BTC. Let us keep learning and evolving with CoinSutra in this never-to-be-seen-again crypto revolution. We would love to hear your thoughts on these listed cryptos. Do let us know your take on the article and the cryptocurrencies of your choice in the comment section below. Very scarce info and the website looks like a scam. Need more info on cover..
Why would simple web page point to scam? I would rather call scam projects which invest heavely in marketing, while offering little substance mixed with lies (Usually claims by project lead self, they are the best). Whitepaper (In this case probably ‘Ghostpaper’) should be made when release 2 comes out. The reason is that the coin is practically same as ShadowCashe (It is its fork. You can check ShadowCashe Whitepaper if you like.) plus only few additions like Tor, obfs4, some wallet fixes/changes, and library upgrades (Last version of Tor e.g.) etc. That being said, the functionality is quite OK. There are not many coins which offer this functionality (Full Tor integration, not proxy, all nodes are inside netwowork, traffic never goes trough exit nodes, Tor obfuscation for countries which block it, ring signatures similar to Monero, Stealth addresses – to hide sender and receiver addresses if stealth profile has been used). E.g. recently XVG shilers claimed XVG is the only coin with Stealth addresses. Main developer @jbg is very communicative and available for discussion/questions. You are welcome to join the discord community discussion, ask questions if you like: https://discord.gg/WFASxye. 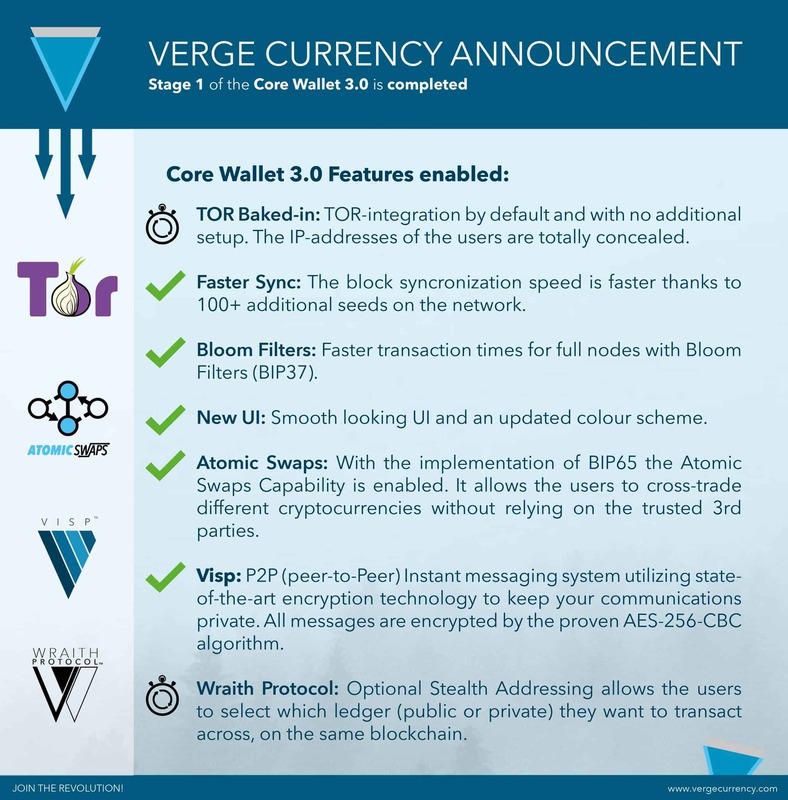 I hope the version 2 will bring stealth staking what would be a very unique feature. Version 1.4 (Next one) should make stealth profile default. Yeah, looks like they have changed their website. Thanks for sharing. Will do some more due diligence once more and list it if found interesting. I didn’t know that they were anonymous. However, I don’t like it. 2) What are your thoughts on ZCL and Bitcoin Private? ZCL is good and Zcoin-XZC is even better…Zercoin Protocol should be the future because the tx size is small in that in comparison to Ring signatures and Confidential RT. Do Zcashe forks use the same original zero knowlegde proof protocol which requires trusted setup? If yes, I would not call that secure, or prefer it just b/c of small transaction size. Bitcoin Private (BTCP) is going to be THE privacy coin of 2018. And you can take that to the bank, or your electrum wallet, whichever you prefer. I think that your missing out one of the most promising projects out there. DeepOnion, privacy coin with native TOR integration for completely anonymous transactions. It is under the radar so far but it will definitely make its breakout in 2018 after the end of the airdrops. You are right about that ! Thank you for this article. Everyone has their own favorite I suppose. BTCZ is a large decentralized community project worth looking at and appears to compare favorably with any “privacy” coins. I wonder have you looked at it? Thank you in advance for responding. Actually speaking we don’t need so many private coins. The best are listed above. plz tell me about anonymous transactions? why we use them? Anonymous because no one can trace you back and find your details & name when you transact using these coins.